It’s easy to love elephants: they’re so huge, so gentle, so strange, so grey. Still, it was a little surprising to find a second elephant in a Fenland church, after the mediaeval one at Gosberton. I came across this cheerful chap in the north transept of Whaplode Church, when I visited a few weeks ago. How does he come to be here? Who made and decorated him? The first Elephant Parade was held in Rotterdam in 2007. 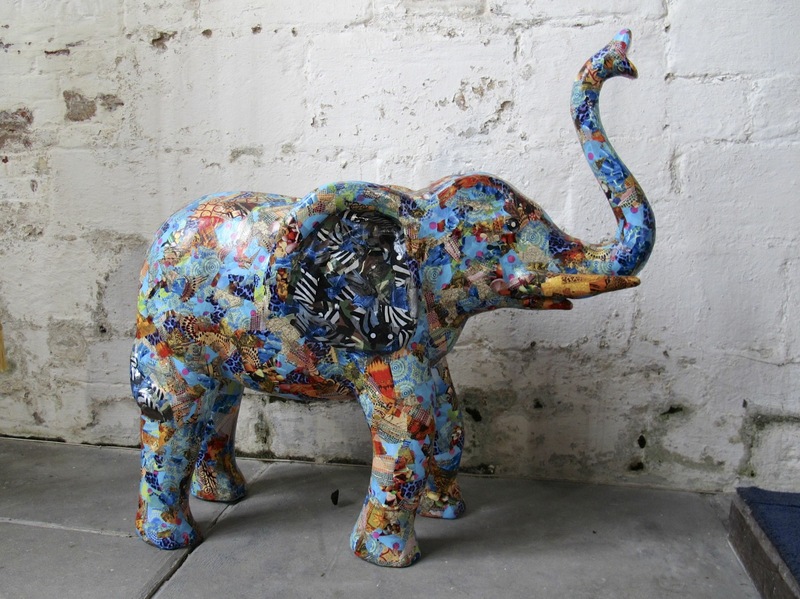 Artists and celebrities were invited to decorate statues of baby elephants, which were exhibited and then auctioned to raise funds for conservation. Since then, parades have been held in Copenhagen, London, Hong Kong and elsewhere. Theirs is currently a UK tour of some pieces, ending in London on 26 July. A canny mix of art and celebrity, charity and marketing, the Elephant Parade is one of a number of similar public events. One of the first and most successful is the Cow Parade, created by Swiss artist Walter Knapp in 1998 and which now describes itself as the world’s largest public art event. During Liverpool’s year as European Capital of Culture in 2008, Taro Chiezo’s ‘Superlambanana’ sculpture was replicated in smaller versions in designs by artists and local groups.